P = hsvoptions returns a list of available options for Hankel singular value (HSV) plots with default values set. Use dot notation to change the option values. You can use these options to customize the appearance of a Hankel singular value plot created with hsvplot. P = hsvoptions('cstpref') initializes the plot options you selected in the Control System Toolbox™ Preferences Editor dialog box. For more information about the editor, see Toolbox Preferences Editor. 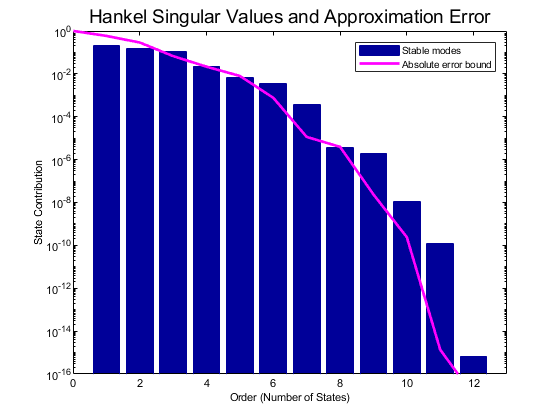 Options for the Hankel singular value computation. See hsvdOptions for detailed information about these options. Both hsvd and hsvplot generate Hankel singular-value plots. hsvplot is useful when you want to customize properties of your plot such as axis limits, scale, and label styles. Use hsvoptions with hsvplot to define properties for your plot. For information on the ways to change properties of your plots, see Ways to Customize Plots. 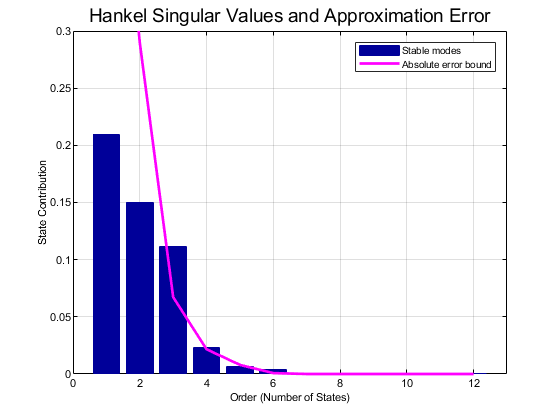 Use hsvplot to create a Hankel singular-value plot with and customized plot properties. Create an options set for hsvplot that sets the Yscale property and the title font size. Use the options set to generate an HSV plot. Note the linear y-axis scale in the plot. hsvplot returns a plot handle. 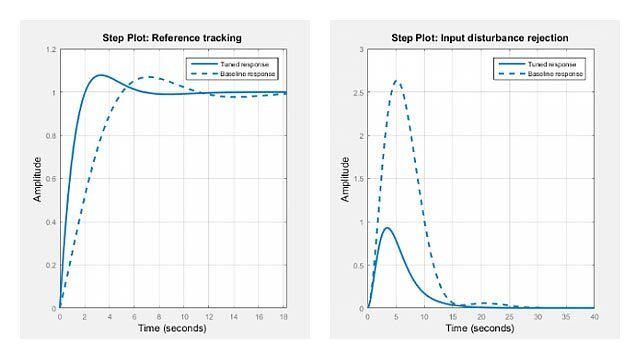 You can use the plot handle to change properties of the existing plot. For example, switch to log scale and turn off the grid.